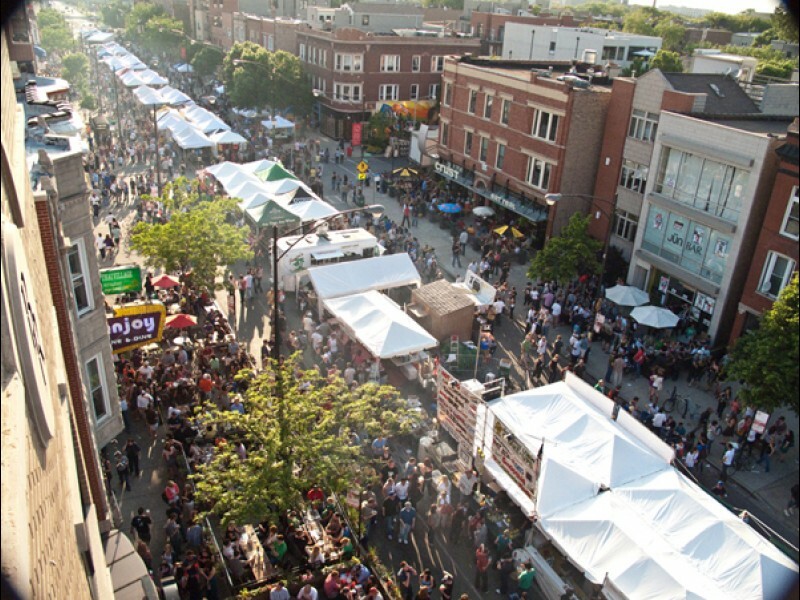 Wicker Park Fest is one of several street festivals returning to Chicago this summer. So, this happened at the Pitchfork Music Festival in 2009. That's Wayne Coyne of the Flaming Lips, in a bubble. The crowd at last year's Do-Divison Street Fest. With the start of Chicago festival season less than one month away, Metromix has released their preliminary list of street fests to whet our summer appetites. Some focus on music (from block parties like Do-Division and Wicker Park Fest to festival giants like Pitchfork, Taste of Chicago and Lollapolooza) while others revolve around food or fine art, but all are guaranteed to bring crowds of joyful Chicagoans together for some long-awaited fun in the sun. And lots of it. Pace yourself (pounding Jägerbombs before 10 a.m. is never a good idea) and remember that obnoxious drunk people are slightly more tolerable if you have a buzz going yourself. Don&apos;t care for booze? You&apos;re in luck: there&apos;s a Rockstar Energy Drink Mayhem Festival too. My favorites: Chicago Craft Beer Festival, Pridefest, and Northalsted Market Days. Free Music Mondays in Millenium Park can be hit or miss (although looking good this year); and with many lineups still forthcoming, it&apos;s hard to know which music fests are worth braving the heat and sweaty crowds. But since Walmart on the Lake (aka Lollapalooza) is already sold-out, trying a smaller fest with more local acts could end up being the highlight of your summer. My favorites: Pitchfork Musical Festival, Wicker Park Fest, North Coast Music Fest, Blues Fest, Edge Fest, Riot Fest and Do-Division. Taste of Chicago may be ridiculously overpriced, but the street-vendor style grub is dependably delicious every year. Other scrumptious destinations like 6 Corners BBQ Fest in Jefferson Park, Fiesta Del Sol in Pilsen and Lakeview&apos;s appropriately-named SausageFest deserve some foodie love as well—just don&apos;t overdo it on the red meat if your plans include walking around in the sun for the rest of the day. My favorites: Roscoe Village Burger Fest, Ribfest Chicago and Taste of Randolph Street. By the time temperatures hit 90 degrees, festivals will be teeming with shirtless men and women flaunting the tiniest bustiest tops imaginable. Whether this sounds appealing to you or not, standing in close proximity to these people could turn very uncomfortable once bodies start sweating and sticking together like flypaper; so, make sure that you have a clear pathway to remove yourself from this situation if need be. While the exception of bigger music festivals like Pitchfork, most of the neighborhood block parties on this list are free and open to the public. A small donation is often encourged to help support the community, but not required. Still, go ahead and pay the $5 to $10 (it&apos;s less than what you&apos;d spend at the movies these days) and enjoy some great live music/art/culture with your friends. Walk around in the sunshine, explore different parts of the city and meet new people along the way. Summer festival season goes by quickly (beginning with the Long Grove Chocolate Fest on May 3 and ending with the last day of Riot Fest on September 15) so make the most of it while you can! What&apos;s your favorite fest? Leave a comment below, join the conversation on Facebook or send me a tweet @leahkpickett.